Puffed Rice balls/Murmura Ladoo/Pori Urundai – easy sweet recipe made with puffed rice and jaggery syrup. 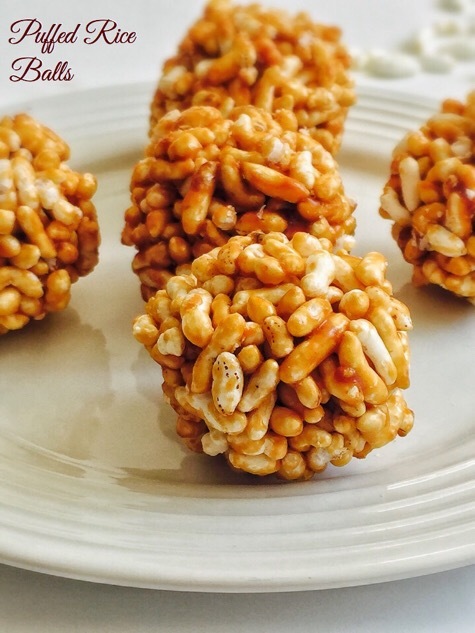 I have sent this puffed rice balls recipe for myliitlemoppet blog for the E book which features popular Mommy bloggers with their favorite recipes 🙂 It is a good snack for kids to munch on in between meals as it provides instant energy for active kids. It tastes so delicious and very simple to make if you get the correct jaggery consistency . 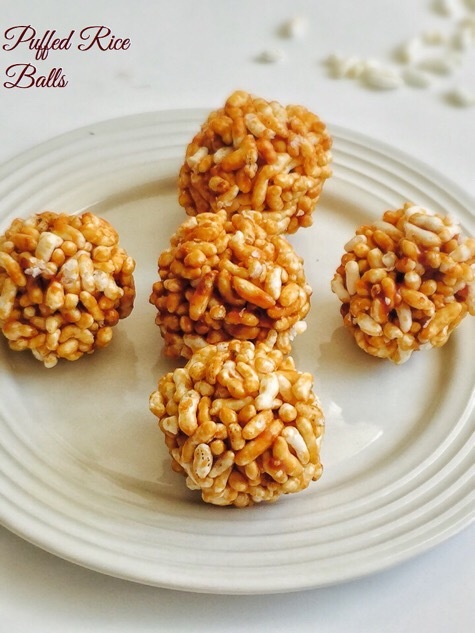 This puffed rice balls balls are ideal for kids from one year. 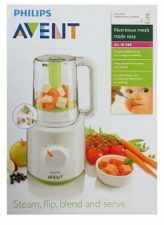 So What are you still waiting for, try it for yourself and little ones at home! 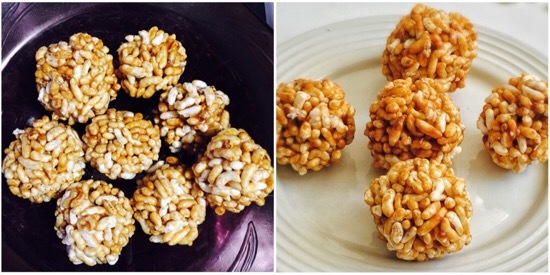 Here is how to make easy and tasty puffed rice balls for toddlers and kids. Measure and keep all ingredients ready. Heat jaggery in a pan with water till it immersing level.Switch off the flame once the jaggery melts completely. 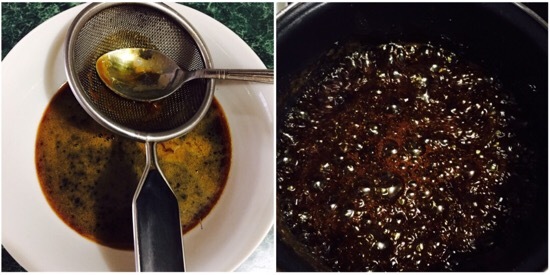 Strain the jaggery water using a strainer to remove impurities. Then start heating the strained jaggery water in low flame. In the mean time, take a bowl with water and keep it ready. When the jaggery water becomes little thick, take little bit of syrup in a spoon and add it to the bowl of water. Gather the syrup to make a firm ball with your fingers. If you are able to form a nice ball, that is the correct stage. Switch off the flame and remove the jaggery syrup from heat. 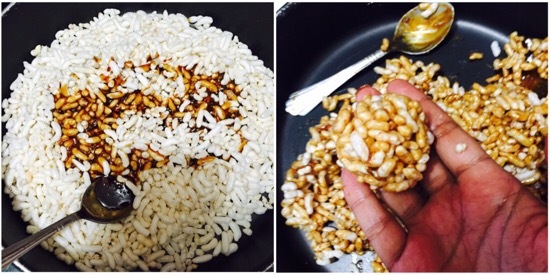 Immediately add the jaggery syrup to the puffed rice. Add cardamom and dry ginger powder at this stage. Mix everything together with a spoon. Now Start making balls. Word of caution here, Jaggery syrup will be hot it may burn the skin if touched directly. Make balls with the remaining mix and store the puffed rice balls in an airtight container. 1. Measure and keep all ingredients ready. 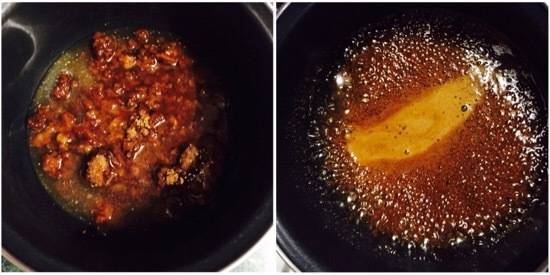 Heat jaggery in a pan with water till it immersing level.Switch off the flame once the jaggery melts completely. 2. Strain the jaggery water using a strainer to remove impurities. Then start heating the strained jaggery water in low flame. 3. In the mean time, take a bowl with water and keep it ready. When the jaggery water becomes little thick, take little bit of syrup in a spoon and add it to the bowl of water. 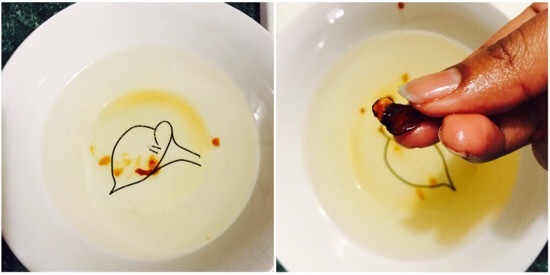 Gather the syrup to make a firm ball with your fingers. If you are able to form a nice ball, that is the correct stage. Switch off the flame and remove the jaggery syrup from heat. 4. Immediately add the jaggery syrup to the puffed rice. Add cardamom and dry ginger powder at this stage. Mix everything together with a spoon. 5. Make balls with the remaining mix and store the puffed rice balls in an airtight container. The tasty puffed rice balls is ready! This recipe first appear on mylitlemoppet. If you couldn’t make balls after making few balls and the mixture becomes thick to loosen a bit, heat the mixture for two to three minutes and proceed further. 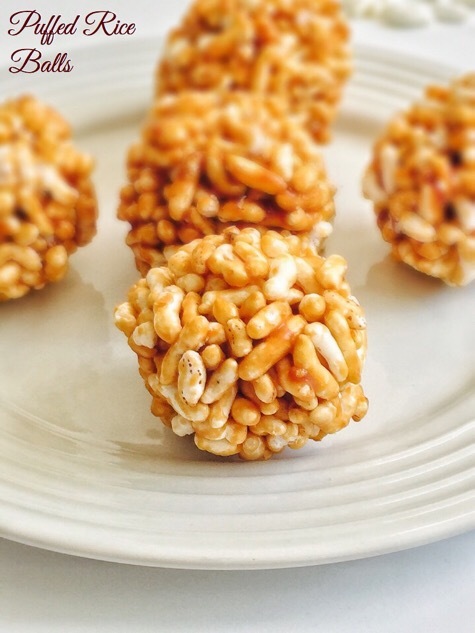 This puffed rice balls stay well for a week if stored in an airtight container. 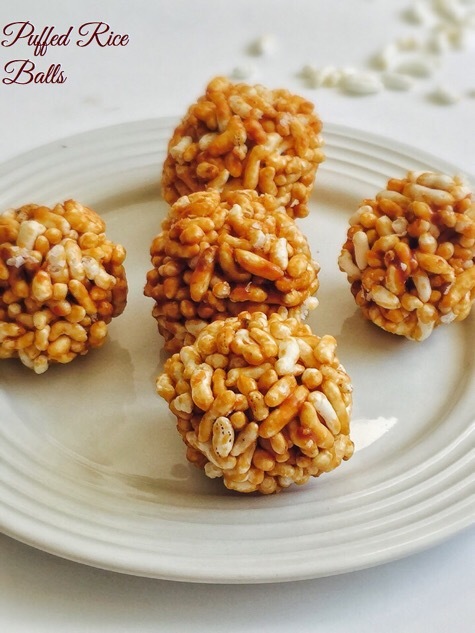 Jaggery syrup consistency is very important for making perfect puffed rice balls. Make sure to introduce puffed rice separate to your baby before you try this puffed rice balls.